Having a great smile and good dental health as an adult usually means one things: good dental health habits began when you were a child. It’s a pattern we tend to see a lot. While it’s not impossible to get the smile you have always wanted as an adult, it is important to have good dental habits growing up. For this reason, many people come to visit our Brooklyn cosmetic dentist at all ages in order to improve the look of their teeth and the overall health of their mouth. There are plenty of major dental concerns when it comes to growing up. Many adults may have questions about what their children will expect to face as they get older and become adults. Let’s take a quick look at some of the basic concerns that people have about the dental health of their children. First of all, cavities and tooth decay will probably be part of that reality. Even when you your children take great care of their teeth, even small cavities are possible. Our dentists will always be able to help your kids deal with cavities through the use of fillings. In addition, we will be able to perform basic dental care cleanings and fluoride treatments to help enhance overall oral health. Another major issue that children will face when it comes to dental health is the straightness of their teeth. Sometimes there are spacing or crowding issues that children and teenagers face, and in order to deal with that, it is important to consider orthodontic treatments such as braces or Brooklyn Invisalign®. For other issues with the jaw and teeth, the use of headgear may be recommended. This will all depend on the nature of the crookedness and the specifics of the orthodontics needs. There’s plenty more to keep in mind when it comes to the dental health of your teens and young children. 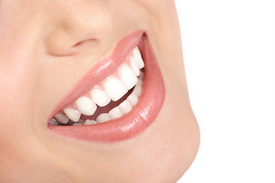 If you want to know more, be sure to contact our Brooklyn cosmetic dentistry office to schedule a consultation. We look forward to talking with you about these issues.